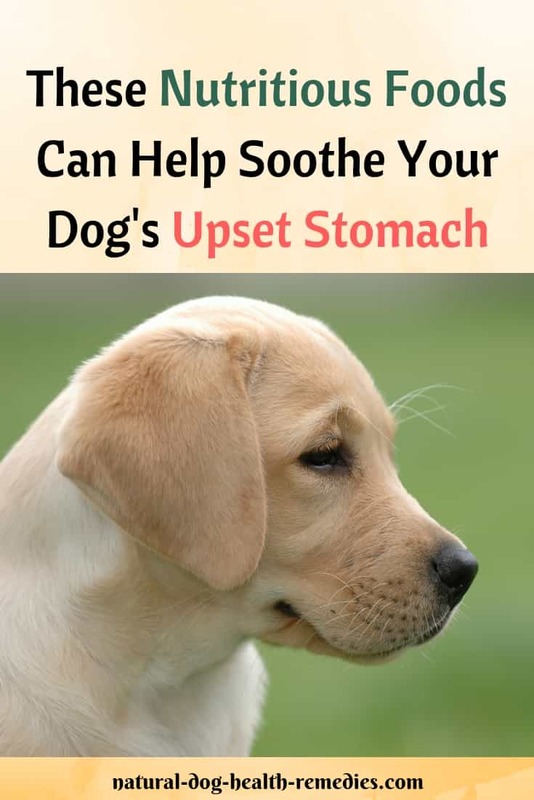 It is common for dogs to have an upset stomach from time to time. There are a number of possible reasons, from food allergies/intolerance and dietary indiscretion, IBD, to poisoning. Needless to say, to cure a dog's stomach problem, having a proper diagnosis to identify the underlying cause and getting treatment from a veterinarian is essential. However, sometimes a dog's digestive system is just "stressed out" due to the weather or other environmental stress. The dog may suffer from diarrhea, vomiting, and loss of appetite for a few days. 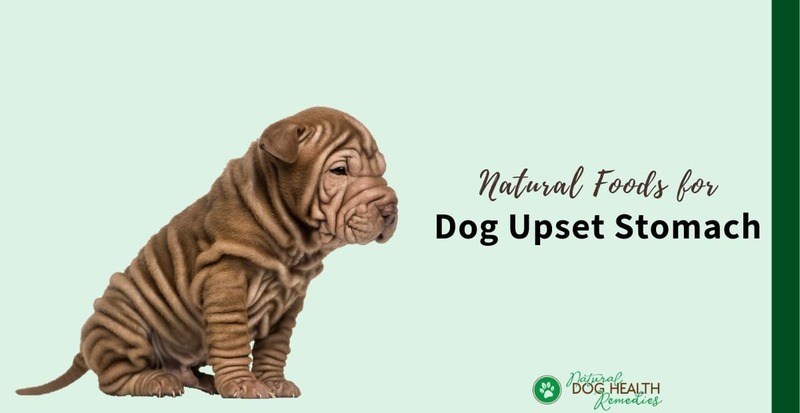 No matter the cause of your dog's upset stomach, there are many soothing and nutritious natural foods that you can give your dog to help settle his stomach. These foods are easy to prepare and are palatable to most dogs. This page looks at some of the most beneficial foods to help settle a dog's tummy. Carob is excellent for calming an upset stomach and treating diarrhea, and the good thing is, most dogs like its taste! Carob is rich in natural sugars and contains a lot of vitamins and minerals (such as calcium, magnesium, iron, riboflavin, and more). Mix a teaspoon of carob powder (available in health food stores) with a bit of honey and water. Alternatively, simply sprinkle a teaspoon on your dog's regular food. Cinnamon has long been used in China as a treatment for digestive problems such as nausea, flatulence, and diarrhea. Like carob, cinammon can be simply sprinkled on your dog's regular food. The good old cabbage contains a lot of nutrients that support the stomach and intestinal lining. Cabbage juice not only helps heal stomach ulcers, but also supports the entire digestive tract. Uncooked cabbage has antibacterial and antiviral properties. Cabbage juice is very soothing and can help stop diarrhea. Here's how to make it. Chop up a handful of purple cabbage. Put it in a pot with a cup of water. Heat gently just until the water turns a nice purple color. Remove from heat and let it cool before giving it to your dog. Chinese people eat plain rice porridge or "congee" when they are sick. 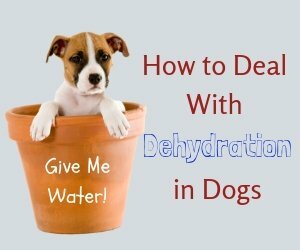 It is easily digested and, if you add special ingredients to the basic gruel, it becomes a tonic which can be used to help a dog with stomach problems, such as diarrhea. To make the basic rice congee, put 1 cup of rice in a pot and add 3 cups of water. Bring to a boil, stir to prevent the rice from sticking to the bottom, and then turn the heat down to a very low simmer, letting the rice absorb most of the water. Cool before serving. To make a tonic for the whole body (this is good for dogs with chronic diarrhea), make the basic congee and then add 2 ounces of finely grated Chinese yam to the congee. Simmer for one hour, then turn off the heat and add an egg yolk. Cool before serving. You can give small portions of this to your dog throughout the day. 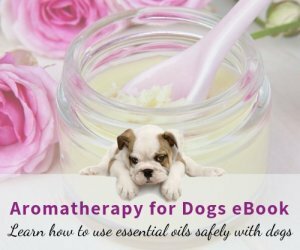 Honey is a good home remedy for dog upset stomach caused by bacteria overgrowth, e.g. food poisoning. The reason is, honey, especially Manuka honey from New Zealand, has antibacterial properties and its acidity can hinder the growth of many bacteria. If you use Manuka honey therapeutically, make sure that you get one with a UMF rating of 10 or above. UMF (Unique Manuka Factor) is a phytochemically-derived antibacterial property found in some strains of Manuka honey and a UMF rating of 10 is the minimum recognized for beneficial healing properties. You can put a teaspoon or so of honey in your dog's drinking water, or mix the honey with carob powder and a bit water. Most of us know that pumpkin is a good home remedy for both diarrhea and constipation in dogs. Because it is high in fiber, it helps absorb excessive water in the intestines and thus is effective for diarrhea. It is also a stool softener, that's why it is good for constipation as well. If your dog has diarrhea or constipation, just put one or two teaspoons of unsweetened canned pumpkin in your dog's food and let it work its magic. Here is a recipe that combines some of the natural foods introduced in this page, and is a great treat for dogs who may not want to eat their regular food due to upset tummies. Lightly oil a cake pan. Spoon into cake pan and bake for 1 1/4 hours. 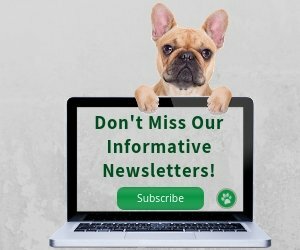 Learn more about some common problems that affect a dog's stomach.